Pretty woman with clipboard writing down information of flowers working together with man in flower market outside. Smiling mature woman writing on clipboard. 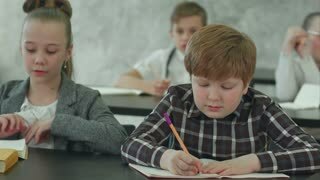 Elegant blonde making a note on clipboard. Rememebered an important information. Serious businessman with clipboard. Caucasian man writing down, white isolated background. 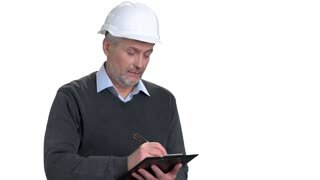 Mature engineer writing down on clipboard. White isolated background.